Asian Honda Motor Co., Ltd., the regional headquarters of Honda in the Asia & Oceania (A&O) region, announced that they achieved their best-ever automobile sales in 2017 in the A&O region with retail sales reaching 793,636 units, a 12 percent increase from 2016 sales volume of 707,951 units. Honda also set all-time annual sales records in five countries, which are Malaysia, the Philippines, Vietnam, Taiwan, and Pakistan. For sales by model, the all-new Civic enjoyed a twofold increase in sales compared to 2016 while the City, catering to the A&O’s regional needs, contributed to the total sales increase as the highest-selling model. Honda in India sold 179,451 units last year, accounting for 23 percent of total sales in the region, with sales increasing 9 percent from the previous year. 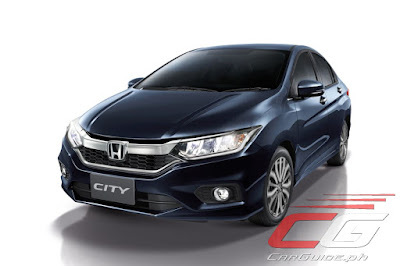 Honda City, which celebrated its 20th anniversary since first being launched, was the main contributor to sales, while the second-best-selling WR-V, a new Sporty Lifestyle Vehicle launched in 2017, also contributed to the increase. The main contributor to Asia & Oceania’s regional sales was Honda in Indonesia, where retail sales reached approximately 180,971 units, accounting for 23 percent of Honda’s overall 2017 A&O sales. The Honda Brio was the top-selling model with growth of 34 percent from the previous year, followed by the Honda HR-V and Honda Mobilio. Honda in Thailand achieved sales of 127,768 units, an increase of 19 percent from 2016, boosted by strong sales of the Honda City, Civic, and Jazz models. The recently launched CR-V achieved extraordinary growth of 222 percent compared with sales in 2016. Honda maintained its number one position in the Thai passenger car segment for the third year in a row, while Thailand ranked third in Honda’s regional sales. Honda in Malaysia recorded new all-time sales of 109,511 units, the first time ever that Honda achieved sales of more than 100,000 units in the country. This outstanding achievement was the result of strong sales of the City, HR-V, and the newly-introduced BR-V model. The all-new Civic sedan recorded an impressive 36 percent increase over 2016 sales. Honda achieved the number one position in the non-national segment for the third year in a row and the number two position in the overall Malaysian market, including national cars, for the second year in a row. Another country in which Honda achieved impressive performance was Pakistan. The company recorded record sales of 47,424 units sold, a 49 percent increase from the previous year. The all-new Honda Civic sedan contributed to sales growth as the most popular model, achieving an 88 percent increase over the previous year. Honda also recorded its highest all-time sales results in Taiwan, the Philippines, and Vietnam, with outstanding sales growth for newly-introduced models as well as existing models in the line-up. In Taiwan, Honda reached its best-ever sales result with 33,978 units sold, a 25 percent increase compared to 2016. The all-new HR-V was the biggest contributor to this achievement, with over 400 percent growth from the previous year. Honda in the Philippines set an all-time sales record with 31,758 units sold, a 37 percent increase over 2016. The BR-V achieved phenomenal growth with a 900 percent increase in sales from the previous year. Honda in Vietnam recorded sales of 12,358 units, a 10 percent increase, in large part due to the all-new Civic sedan, which achieved tremendous growth of over 700 percent from the previous year. The City, a popular model in the Asia & Oceania region, made the greatest contribution to 2017’s regional sales, accounting for 21 percent of total sales with 169,124 units sold. Global models HR-V and Jazz were also very well received across the region, with strong sales of 102,182 and 99,534 units respectively. In terms of the growth ratio from the preceding year, the all-new Civic recorded the highest jump in sales in the region with impressive growth of 51 percent, followed by the all-new CR-V, which achieved an increase of 43 percent. Honda will continue providing customers in the Asia & Oceania region with attractive, high-quality products to maintain 2017’s strong sales momentum into 2018.